Berton Vineyards is located in High Eden, a sub-region of Eden Valley, South Australia. The altitude and cool climate provides ideal conditions for the production of high quality fruit - surrounded by native yacca grass and watched over by the blue wren, they are responsible for some of the best Shiraz, Cabernet Sauvignon, Sauvignon Blanc and Chardonnay in the hills. Winner of a Bronze Award, International Wine Challenge 2015. Dark in colour and full of liquorice and spicy blackberry flavours with a juicy finish, this Black Shiraz proves that big, concentrated Aussie wines don't need to cost big money. Strong blackberry and plum aromas over toasted vanilla and spice. The palate is full flavoured and intense with rich blackberry, plum, blueberry and spicy characters. The tannins are very ripe and dense giving great structure and length to the palate. 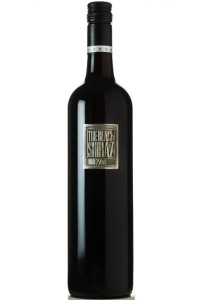 The Black Shiraz is the perfect choice for rich and spicy dishes, steak au poivre, full flavoured game casseroles, beef sausages are all great food matches. Also perfect with strong cheeses or simply enjoy anytime!